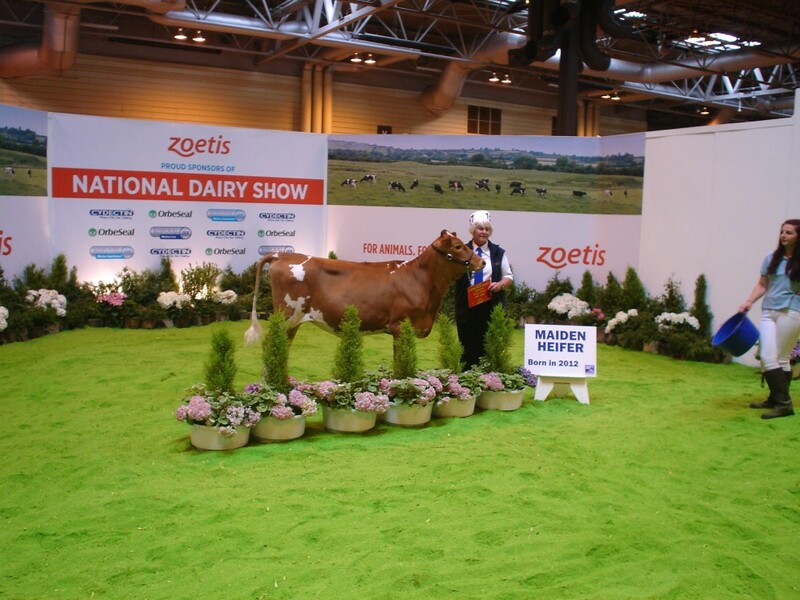 The National Livestock Show was held at the NEC, Birmingham on July 2nd/3rd. There were just 9 animals forward for Judge, Richard Emm to inspect. 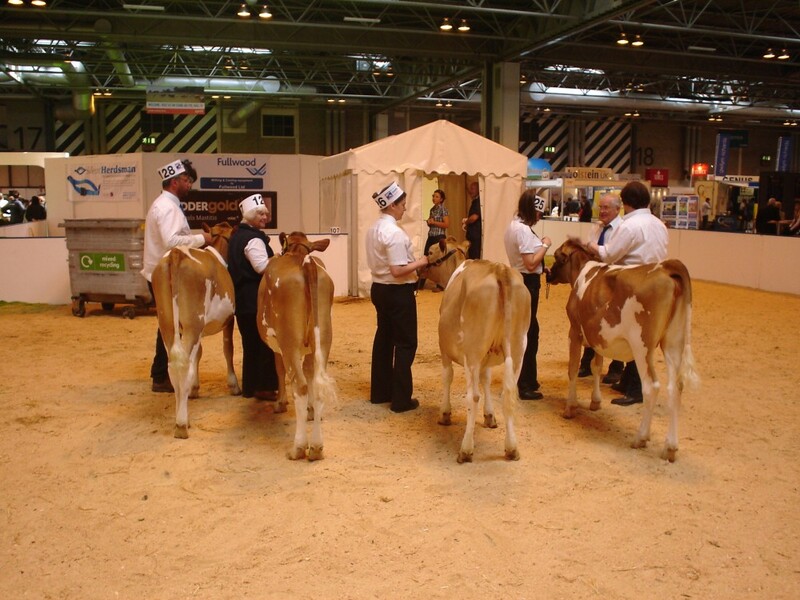 Thanks must go to Brian and Sheila Adams, Richard Norman and Robert Page, for making the effort to attend and making sure there were Guernseys present at the show. 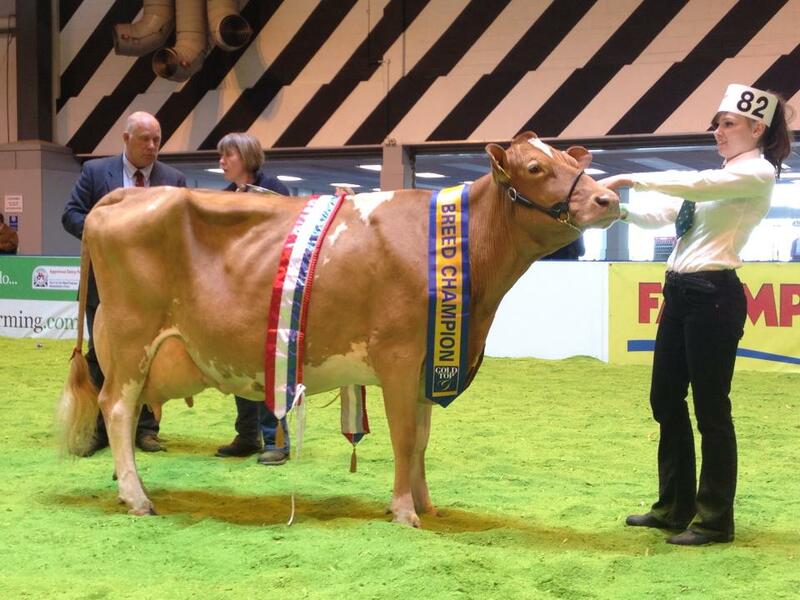 Also thanks to Caroline and Phillip Cox for manning the Stand for the two days and helping with the stewarding. Here are the results of the judging. 1. B & S Adams. Trewey Prince Poppy 26th. 2. Norman & Mills. Cadbury Magicman Charlotte 3rd. 3. R. Page. Blanches Vendetta Polyanthus. 4. B & S Adams. Trewey Andantes Jackie 52nd. 1. Addington Fund. Hamps Valley Annabelle 7th. 2. B & S Adams. Wiltown Claudia. 3. Norman & Mills. 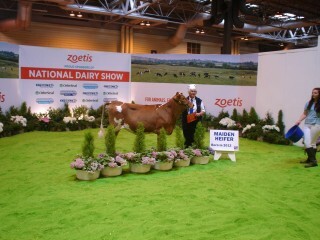 Cadbury Magicman Charlotte 2nd. 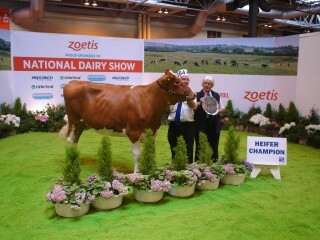 Hamps Valley Annabelle 7th who went on to be Junior Champion. The Group of Four representing the Breed Society came a creditable 5th out of six. 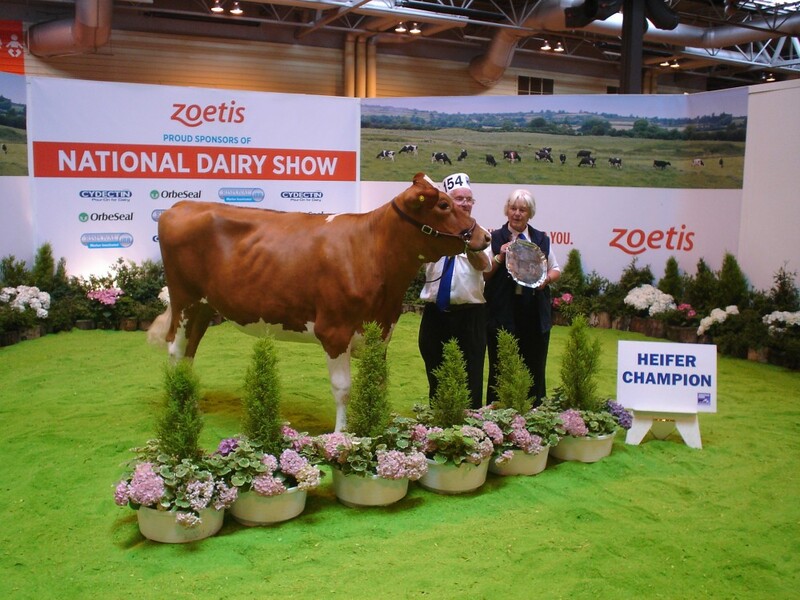 The only milk cow forward on the Day and Breed Champion, was Easby Countess 8th owned by Robert Page and shown by Michelle Howie.. She is a fourth calver by Easby Prince, a son of Tredinney Royal Highness. Thank you to Caroline Cox and Laura Sales for providing me with the images.